I cannot believe it is already time to say goodbye to 2014 and ring in 2015. This year has flown by, but it has been a great one. I am incredibly blessed! To everyone who has been on my blogging journey with me, thank you! I am truly looking forward to continuing my writing in 2015. I have already started brainstorming topics, but I would love to hear questions, suggestions, and topics from all of you as well. Please send them my way! 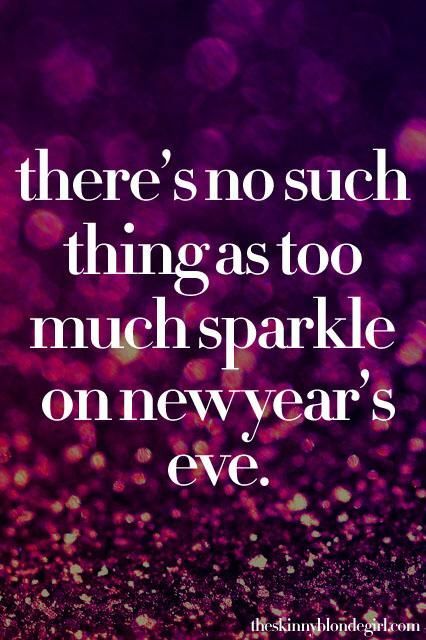 Wishing you all love, laughter, happiness, good health, and lots of sparkles in 2015! Happy New Year!